Everyone knows us girls like a little sparkle in our lives. And some of you will know that I can never resist a good ol’ Twitter giveaway. 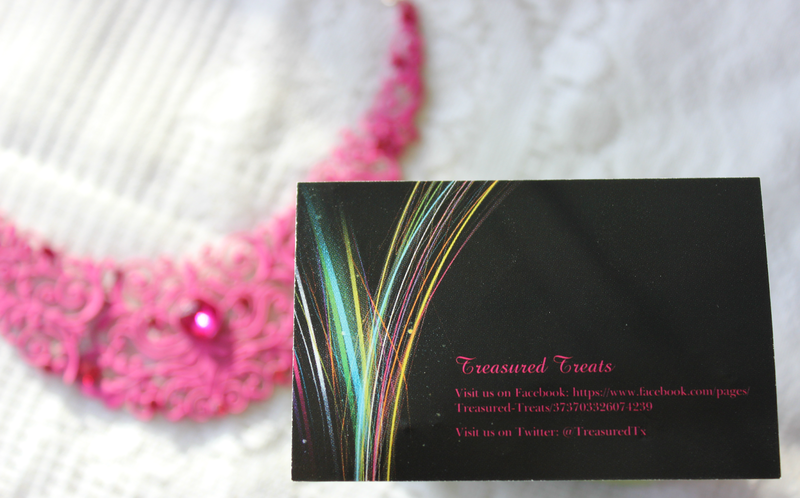 So, naturally, when Treasured Treats ran a giveaway to win a gorgeous statement necklace, my finger was straight on to the RT button! 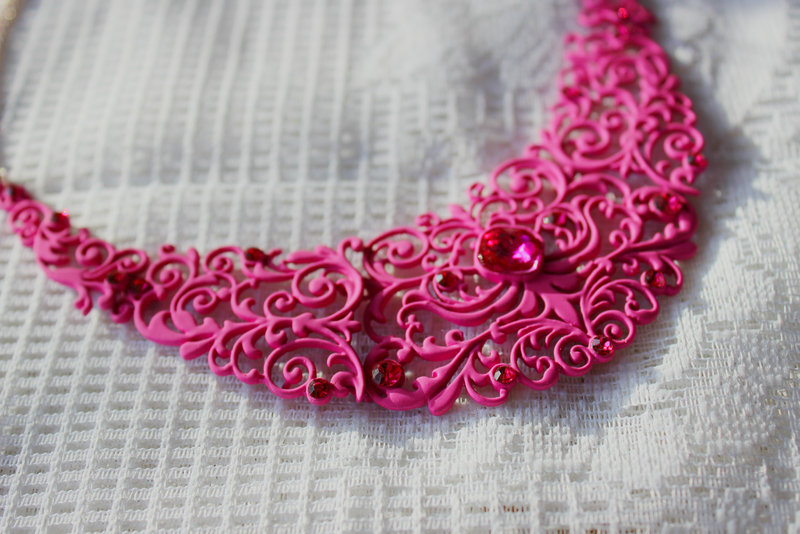 I was the lucky winner of this particular giveaway, and I got sent a gorgeous pink diamanté necklace* (which, by the way, was packaged absolutely beautifully!). The colour is lovely, and I’ve been wearing it for an extra pop of colour, especially on nights out. My favourite combination was with a cream coloured top and a black boyfriend blazer; this necklace gave that extra bit of colour to make my outfit stand out a little bit more! Hi, Laura! Would you like to start by telling us a little bit about your business? is to make women of all ages look and feel fabulous! When did your business get started and what inspired you to start? wearing something that made them look and feel fabulous. Nothing makes me happier than making others happy! What are your favourite pieces in your shop? I know it must be hard to choose! 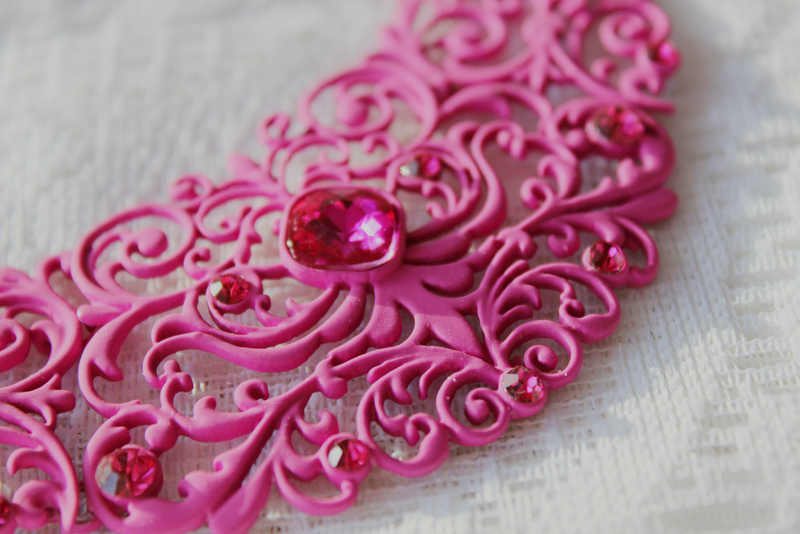 Flower Bomb – Such a sparkly, floral necklace. It’s very unique and a real statement piece. Green Aztec Statement Earrings – I adore the colour of these and they are unsual. Not something you’d see in a high street shop. Cream Rose Print Scarf – I love florals and this has a real vintage feel to it. Very pretty and would go with any outfit! Have you got anything exciting coming up in the future? New stock or maybe a sale? Us girls love a sale! glamorous on their wedding day is great feeling. give our lovely customers great products for amazing prices. I’ve been going through the Treasured Treats website and have made a wishlist of the particular items which are my favourites. 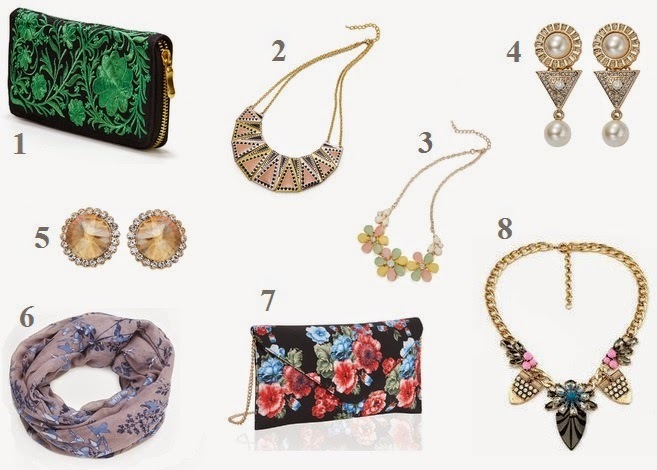 From necklaces to scarves to purses to earrings, there really is something for everyone, and at affordable prices too. A girl can never have too many accessories!